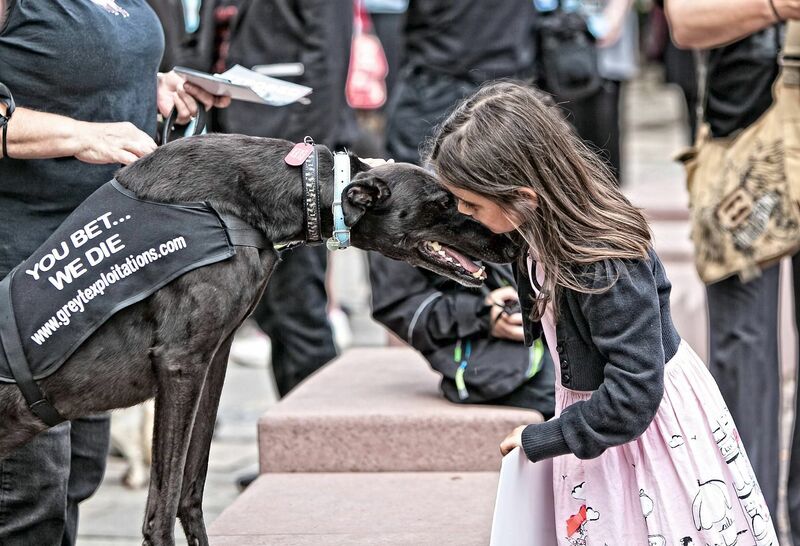 The Greyhound Awareness Pack for dog walkers have been designed for advocates to promote greyhounds as companion animals and help raise awareness of the cruel racing industry. 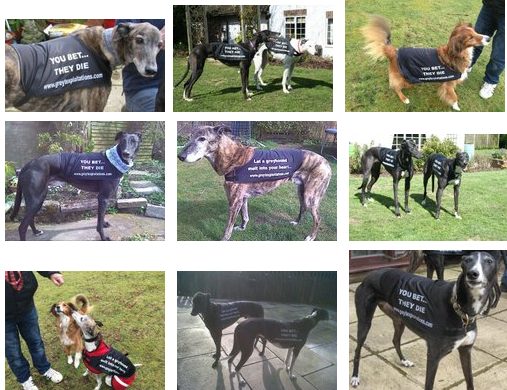 They have proven to be a big hit in the local dog walking communities – dog events and we have distributed hundreds of vests with thousands of leaflets over the past 18 months. The pack consists of a vest – leaflets and cards all designed to encourage meaningful conversations with the public while walking your hounds. 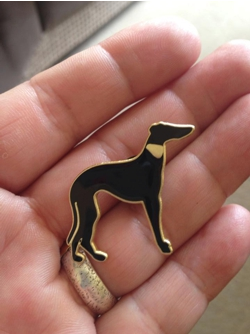 Also included in the pack is a gold and black enamel pin – as a thank you for your wonderful support. 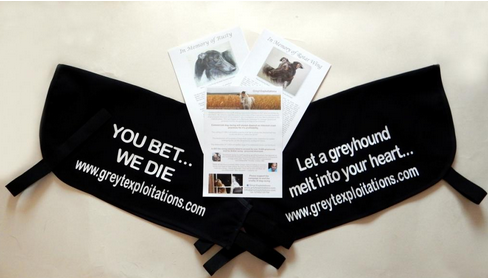 If you would like to order a pack – please email info@greytexploitations.com with your name and address. We are requesting a minimum donation of £15.00 to part cover the costs of the vests – literature and P&P. 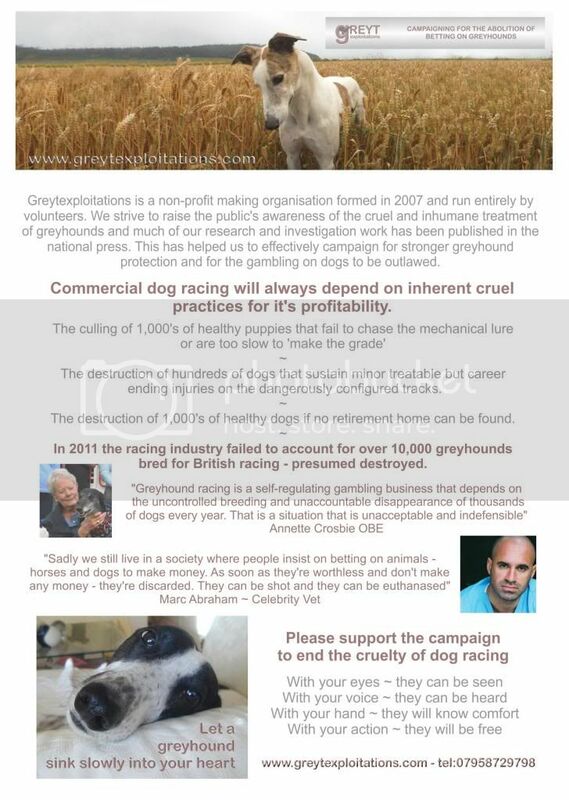 Please use the PayPal facility on the right hand side of this page to make your donation. 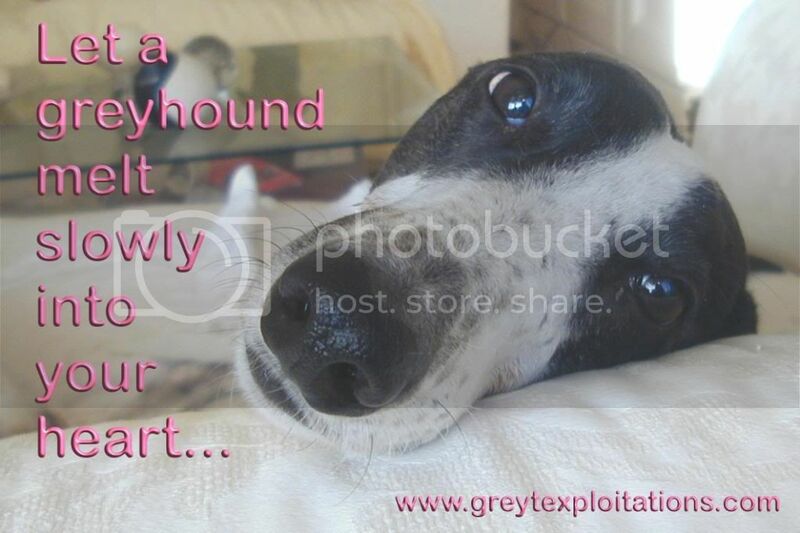 As always – many thanks for your care and compassion for the greyhounds.